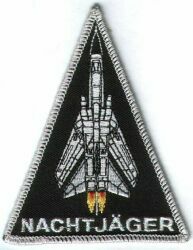 The squadron is - at the moment - not capable of sending or selling patches, stickers, posters, caps or any other stuff out to you (no budget, no personnel, no time)! So, please don't adress any requests of this kind to us. We will inform you on the first page when we should be capable of this in the future. 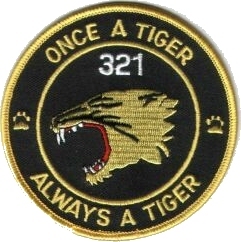 All of the shown patches are copyright by 321 Tigers or Fighterbomberwing 32 or by individual designers. Reproduction and selling without permission by the rights holder is illegal. 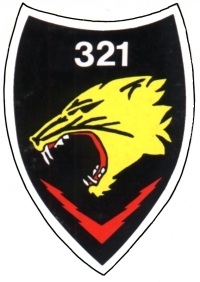 The current Squadron crest of the 1st Squadron FBW 32 ECR. The black background - symbolizes night. 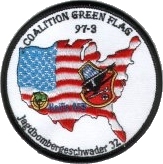 The red flashes - symbolize electronic warfare . The Tiger - symbolizes speed, courage and determination in battle. 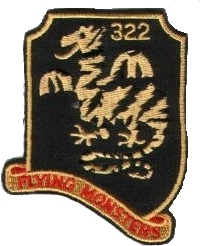 321 - stands for the 1st squadron of the Fighter Bomber Wing 32. 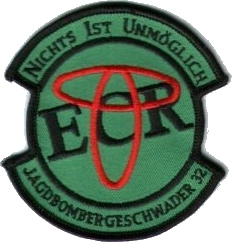 The Squadroncrest from 1976 to 1991. 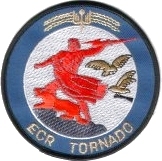 The Squadroncrest from 1958 to 1961. 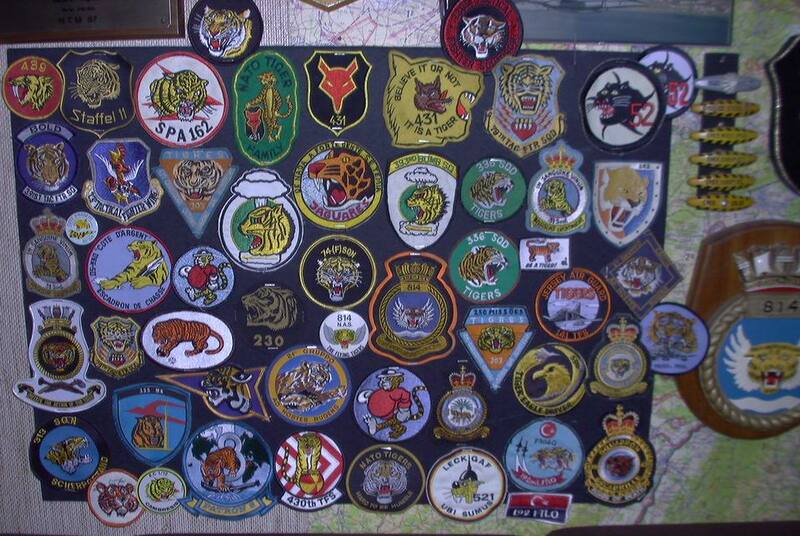 Story of the "Panther Patch"
The honorable Tiger-Ecki supported us with an unlimited number of Lick-On-Tattoos, especially for the Tigermet 2004 in Schleswig, Germany. We were very motivated in tuning an indefinite number of girls by attaching (licking-on) our tattoos. Finally there have probably been more girls with a tattoo than without. 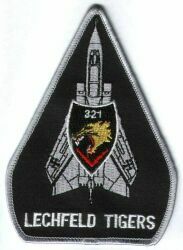 This very effective type of "product placement" also lead to the 321 Lechfeld Tigers getting more and more popular amongst the participating aircrews. Finally we were proud of winning the Silver Tiger. 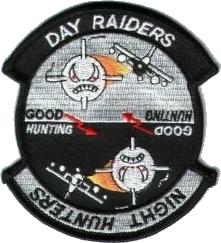 After that Tigermeet (L)arry created the patch as common ID-measure for the (L)-Team. 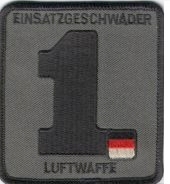 This patch will be awarded as soon as the official qualification criteria are met. 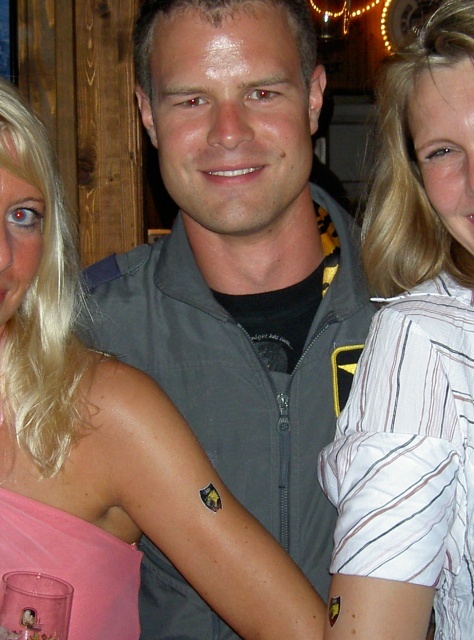 The (L)-Team is meant to enjoy our parties even more by making the girls more beautiful. As a guideline we use the term "how low can you go", which increases the chance of meeting people and entertain them. We want to show the world that we can have a lot of fun in our extraordinary job. 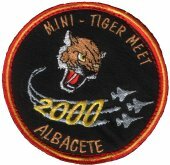 And - by the way - all members are proud to live the spirit of the NATO TIGERS. Combat Wing 1 as a part of IFOR. Combat Wing 1 as a part of SFOR. 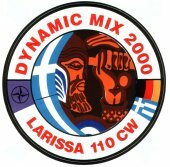 NATO-crest for Operation "Allied Force"
Crest of the German and Greek Exercise DYNAMIC MIX 2000 Participants at Larissa AFB/Greece. I visited your website. 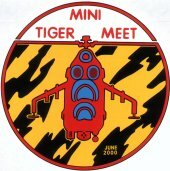 I was tiger 14 at 431 Squadron and retired 1988. 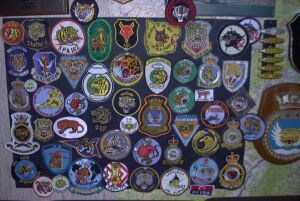 Attached you find a picture of a board with all tigersquadrons from the 1980s.